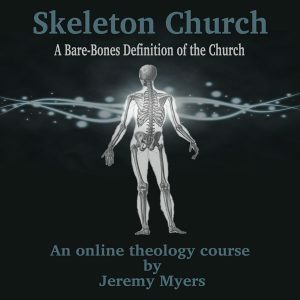 This is the free “Skeleton Church” mini course on the biblical definition of the church. There is so much confusion and disagreement in Christianity today about what the church is and how to “do” church. But if we understand how the Bible defines “church” most of this confusion disappears and the disagreements fade away. Whether you are a proponent of organic church, house church, mega church, or even if you are “Done” with church, this course will help all of us live in love and unity as we follow Jesus into the world. This is a 2-week course on the definition of the church, with three lessons made available each week. NOTE: Not all the lessons are immediately available. Just like any Bible college course, you will have three lessons available each week. At the end of the course, you will also be able to download a free PDF copy of my book, Skeleton Church. You must register to take this course. The normal price for this course is $97. 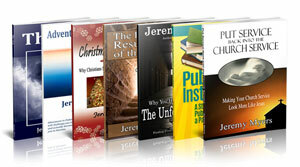 However, those who are part of the Discipleship Group get to take the entire course absolutely free (a $297 value!). Below are some recommended resources for this course. They are completely optional. Get a few of them only if you want to learn more. I see that you have signed up and are registered for the course. Are you sure you are logged in to the site when you try to take the course? You need to be logged in to take the course.